Guests delighted in dishes prepared by celebrity chefs, sipped wine, and cheered for their new favorite organizations. All while they watched for push notifications on their cell phones throughout the evening. What was this you ask? A totally new idea in non-profit fundraising from an organization called Power Launch. 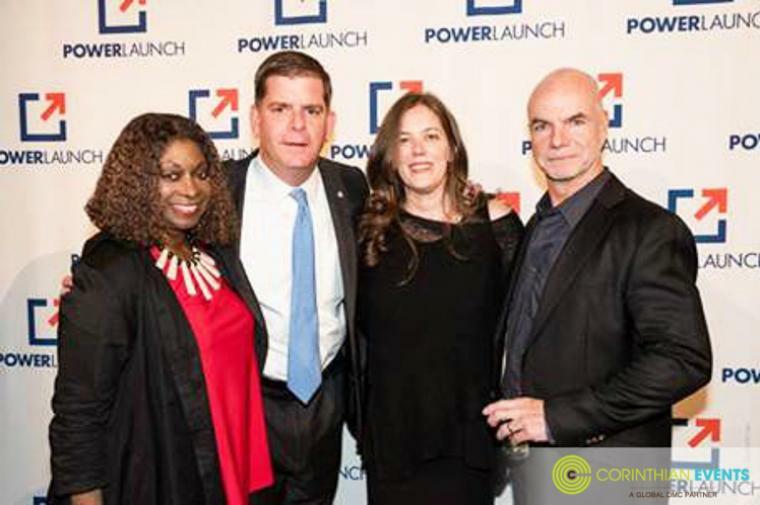 Even Mayor Walsh was excited to attend. The creative team at Power Launch came up with a new concept – a venture philanthropy competition – which they called, PitchIn. Five social entrepreneurs, leaders of a variety of organizations for social change, pitch their organizations to a panel of judges, in front of a live audience! 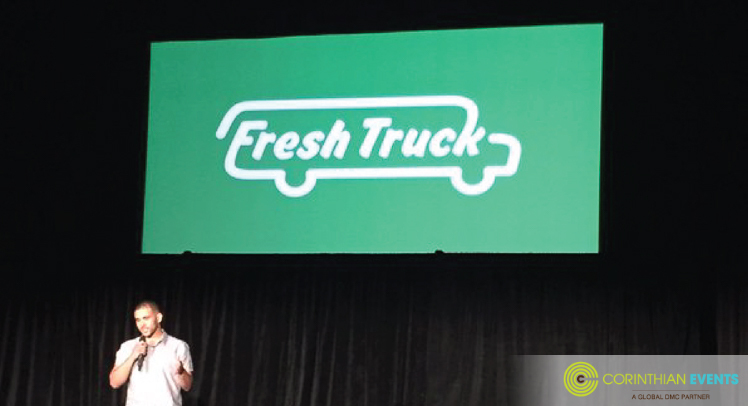 The entrepreneurs for this special kick-off evening included: Josh Trautwein - Fresh Truck (shown above), Michelle Cove - MEDIAGIRLS, Julie Joyal – MED Science, Emily Cherniack – New Politics Leadership Academy and Dean Bragonier – NoticeAbility. This style competition with social entrepreneurial spirit has the intrigue and draw – but what about logistics? 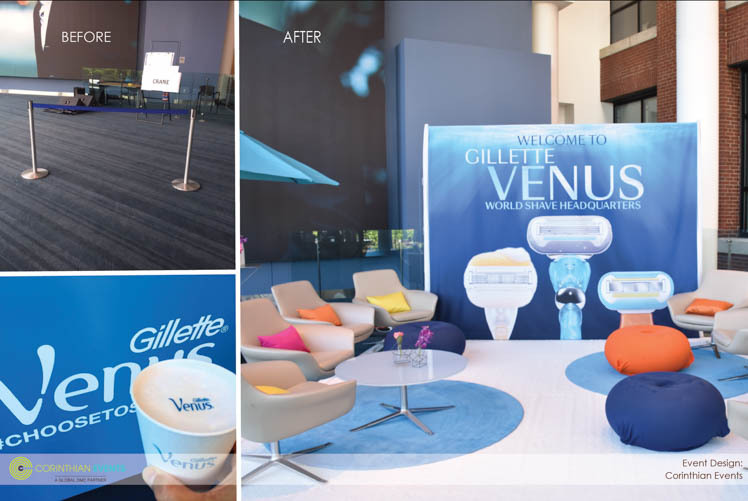 At Corinthian Events we love working on creative concepts that inspire us - and connecting logistics with creative ideas is our specialty! Our Corinthian Events team worked with Power Launch to build their website, design email invites and branded registration site as well as integrate their email blasts seamlessly to convey all the right messaging. The digital presence prior to the event was vital to set expectations for the night to come. Starting a brand new event from scratch, details such as venue, floor plan, schedule, lighting, food, and signage were especially vital during the event to ensure a seamless evening. A work-back schedule was created as far in advance as possible to make sure everything can be designed, ordered, and ready for the night. During the evening, as the entrepreneurs pitched - instead of being asked to silence their phones, the emcee encouraged the crowd to pull out their phones to be ready to bid! Guests were sent push notifications throughout the night, keeping them involved in the event and giving them the ability to support Power Launch using their phone!